It's been a long road for ARK ever since it first hit Steam Early Access back in June 2015. In that two year timespan, the title saw over 200 updates, got into the Xbox Game Preview (i.e., early access) program on the Xbox One and a similar program on the PlayStation 4 before it finally got a "final" release date. That in itself caused some (understandably) ruffled feathers as the price jumped about $20 from what it was during the Early Access days. Still, an end was in sight so everything's good, right? Early in the morning on Saturday, the devs posted an announcement to their blog that the release date would have to be pushed back three weeks to August 29 as a result of the Gold Master and certification process taking "a little longer than expected." Things happen, new bugs can often be found during that process that cause these delays, but it's not the news the community wanted to hear. 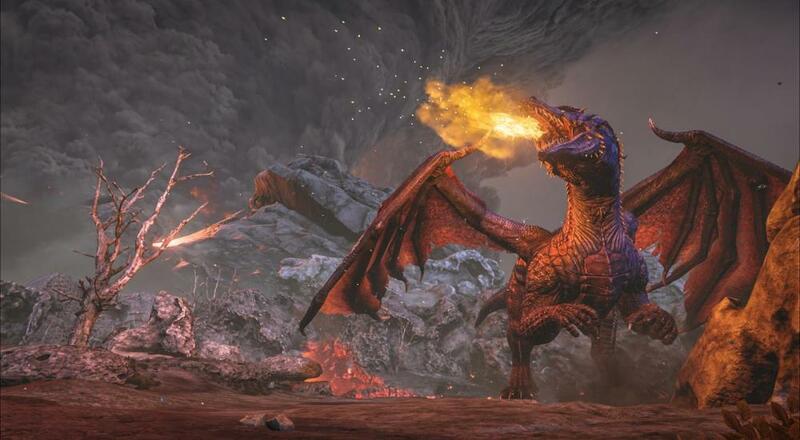 On the plus side of it all, I suppose, the free DLC expansion "Ragnarok" will be released at the same time as the full game, so players will get all that content - bigger map size, new biomes, a new boss, and "something secret the Ragnarok team are cooking up" - to go along with it. The dev team also plans on using that extra time to try and fix/tweak a few things to ensure launch day goes well. Page created in 0.3899 seconds.